James Pierpont Comer, a leading black child psychiatrist and educational reformer, was born into a working class family in East Chicago, Indiana on September 25, 1934. Although his parents, Maggie and Hugh Comer, had little education themselves, they strongly supported their children’s education. All five children graduated from college, earning 13 degrees collectively. Comer graduated from Indiana University in 1956 with an A.B. Three years later in 1959, he married Shirley Arnold, with whom he had two children. He received his M.D. from Howard University in 1960 and his M.P.H. from the University of Michigan in 1964. Throughout the 1960s, Comer worked in different medical fields. He was a staff member of the U.S. Public Health Service, worked with the National Institute of Mental Health and interned at Saint’s Catherine’s Hospital in East Chicago. Comer also volunteered at the Hospitality House in Washington D.C. During this time, Comer found his interest and passion in child development and education, particularly among disadvantaged students. In 1968 Comer became part of the medical faculty at Yale University and has held various positions over the years. Today he is the Maurice Falk Professor of Child Psychiatry at the Child Study Center of Yale’s School of Medicine. While at Yale, Comer began to develop the “Comer Process,” a school-based intervention program designed to improve low-income students’ educational experiences and achievements. The Comer Process moves beyond acquisition of basic knowledge and instead emphasizes the creation of environments of collaboration which directly involve parents, teachers, staff and administrators in achieving measurable student outcomes. The Comer Process was first implemented in two elementary schools in New Haven, Connecticut in 1968. Their success led all of New Haven’s schools to adopt the program by 1981. With funding from the Rockefeller Foundation, the Comer Process spread across the nation and by 2010 over 500 schools incorporated some version of that model. 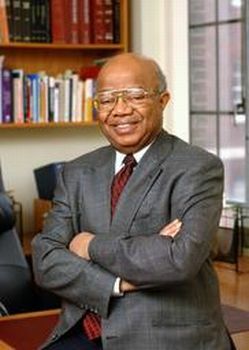 In tribute to his work, James Comer was awarded the McGraw Prize in Education in 1990. James P. Comer is now retired from teaching although he continues to research and write. His most recent book, What I Learned in School: Reflections on Race, Child Development, and School Reform, was released in 2009. George White, Jr., "Comer, James," Encyclopedia of African American History, 1896 to the Present: From the Age of Segregation to the Twenty-first Century, edited by Paul Finkelman, Oxford African American Studies Center, http://www.oxfordaasc.com/article/opr/t0005/e0287; James P. Comer, Maggie’s American Dream (New York: NAL Books: 1988); Mark F. Goldberg, “Portrait of James P. Comer,” Education Leadership (September, 1990); Pamela Cross Young, “Comer, James P.," Encyclopedia of Educational Reform and Dissent, edited by Thomas C. Hunt, James C. Copper, Thomas J. Lasley II and C. Daniel Raisch, (Los Angeles: Sage Publications, Inc.: 2010).